South America's Best Dishes - You simply must try! If you’ve ever dreamt of taking a culinary tour-de-force through Latin America, rest assured you’re not the first. Renowned as a food lover’s paradise, South America boasts an infinite array of unique and drool-worthy dishes to suit every taste. Due to popular demand (mostly, ours) we’ve taken it upon ourselves to taste our way through this delectable continent, just to bring you a list of South America’s Best Dishes, unforgettable and utterly orgasmic dishes you simply must try when visiting South America. 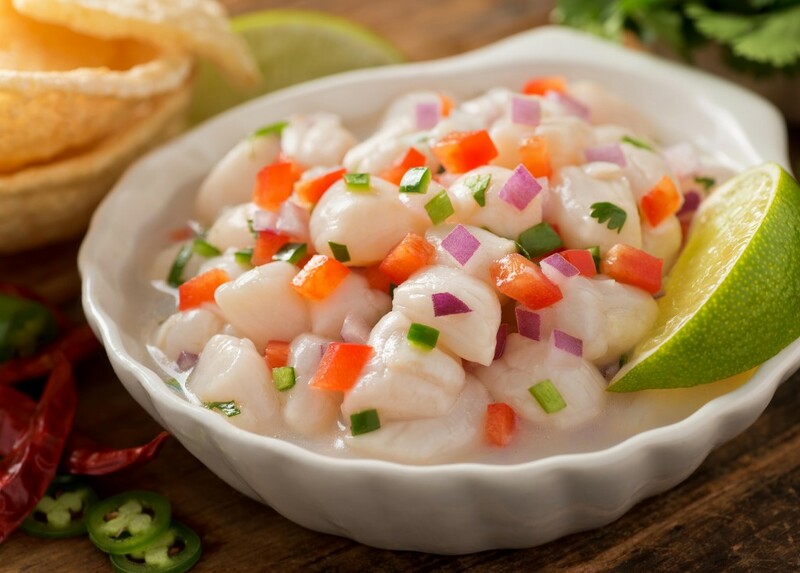 A popular seafood dish along the western coastline of South America, ceviche is one of the most exported delights to have come out of the continent. Essentially a fish carpaccio, ceviche is a meal of raw seafood (prawn being the most delectable version) marinated for a few hours in copious amounts of lemon or lime juice, and plenty of fresh chilli peppers – known as aji. Served alongside complementing vegetables like boiled corn, plantain or sweet potatoes, ceviche is the kind of dish with which you could never overdose. Trust us, we tried. The most delicious ceviche – subjectively writing – can be savoured anywhere along the coastline of Peru, from Lima all the way to Mancora, near the border with Ecuador. Expect your ceviche to be served super fresh with thinly sliced red onions and a sprinkling of fresh coriander. Swoon at will. Head to Peru on a culinary tour and we’ll have you swooning several times a day. South America’s obsession with dulce de leche is comparable with Italy’s obsession over Nutella. If they could, latinos would be spreading the caramel liquid gold on everything: entrees, mains, salads AND desserts. The fact that dulce de leche is an exceptionally easy to make (if you have a can of sweetened condensed milk, a stove of sorts and about 20 minutes) means you quite literally find it everywhere in South America: in between layers of sponge cakes, as fillings for doughnuts, churros and croissants, between shortcrust biscuits and on the foreheads of newborn babies. Well, not quite, but almost! If you boast a sweet tooth then dare we say you’ll think you’ve died and gone to heaven. A heaven where the caramel is free-flowing. 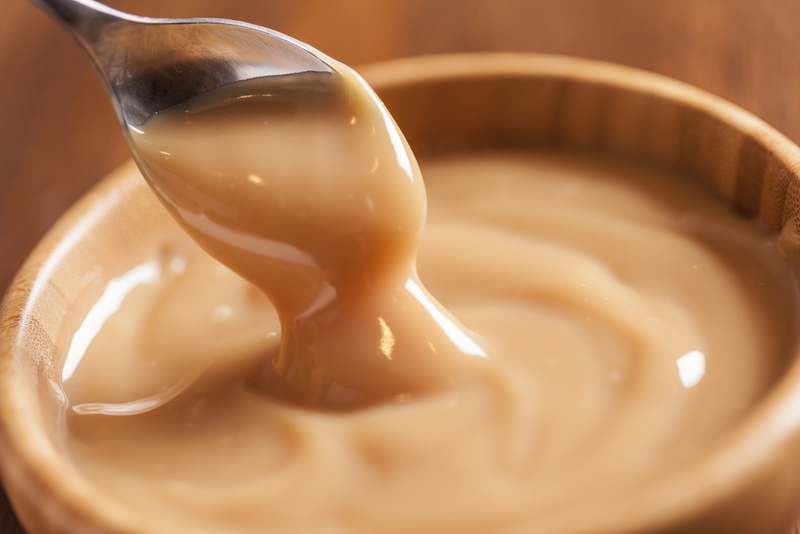 The love of dulce de leche is so insanely strong in South America – that when the Uruguayan football team was defeated by Costa Rica during the 2014 Brazil World Cup, fans blamed their loss on the fact that their stash of home-made dulce de leche was confiscated by customs in Rio. True story! If you’re a gaucho from Argentina, then you’ll probably think that grilled steak topped with spicy chimichurri sauce goes together like sponge cake and dulce de leche. We couldn’t agree more. 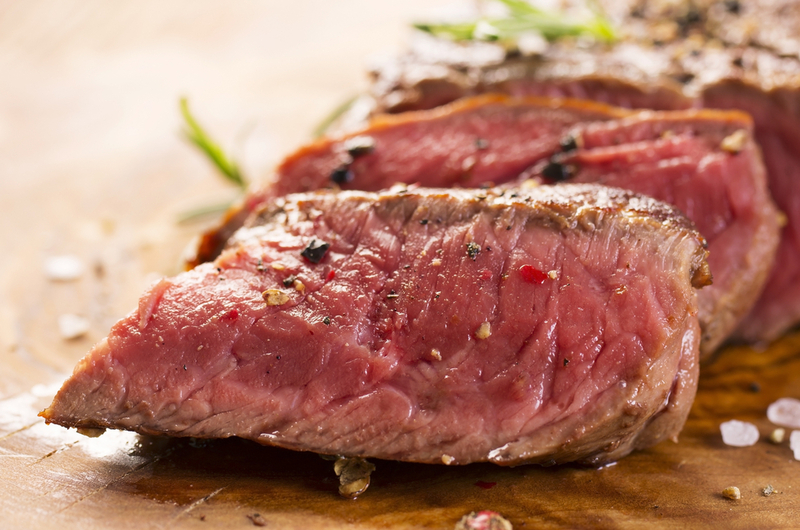 Not only does Argentina boast the best beef on the planet, resulting in the most mouth-watering steaks you’ll eve savour anywhere, but they also serve them alongside one of the most moreish BBQ sauces ever invented by a chef with a penchant for garlic: chimichurri. These two ingredients together are like music to your taste-buds and have been known to make grown men weak at the knees. The rivalry between South American countries over who makes the ‘best empanadas’ is quite legendary. We kid you not: wars have started over less trivial matters. To be brutally honest, we’re almost afraid to favour one version over another in writing – lest we ruin some long-held friendships. So we’ll just stick to the fact, shall we? 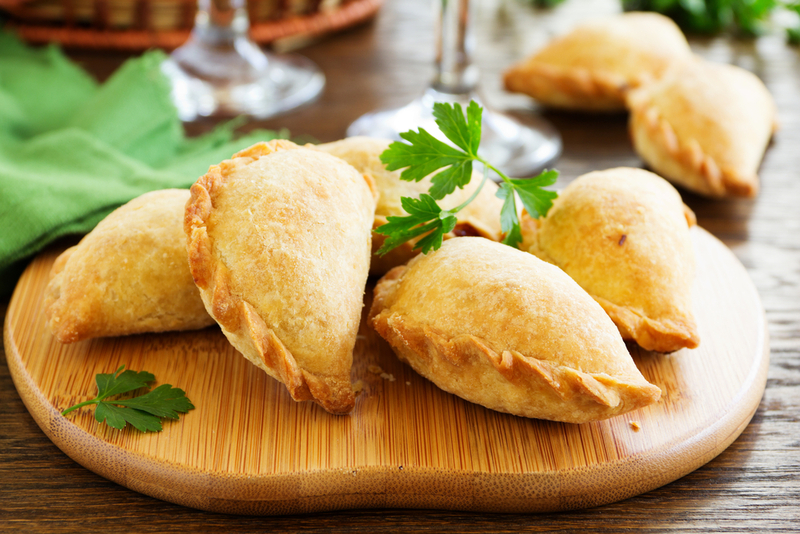 Empanadas landed on the shores of Latin America alongside the Spaniards many moons ago, although at the origin, in northern Spain’s Galician empanada, it was more of a meat-filled pastry pie, rather than the hand-held pocket of godliness you can savour nowadays. Each South and Central American country boasts its own particular version – some are smaller, others fried, include sultanas, boiled eggs, chopped olives or topped with a special chilli sauce. The top two contenders for South America’s very best empanadas – perhaps due more to economic prowess rather than anything else – are Argentina and Chile. This is where you’ll normally find the freshest and highest-quality ingredients of all. Nowadays, you’ll find empanadas filled with all sorts of goodies like ham and cheese, meat and potatoes, vegetables and even sweet fruits. It is quite impossible to visit South America and not try an empanada…or maybe two dozen. So do yourself a favour: solve this dilemma once and for all and make your next adventure trip to South America an empanada appreciation tour. Your taste buds will be forever grateful – your hips a little less so. Yes, we know, when it comes to South America’s best dishes Argentina is a little greedy. It demands all the top spots. Want to know what the gastronomic fuss is all about? Join us on a Buenos Aires foodie weekend and we’ll show you! Asado is a term used to describe both the act of barbecuing meat over coals and the actual social event of getting together for a BBQ. Also popular in Uruguay, Paraguay and Chile, asado is most famously referred to as the ‘Argentinian BBQ’ and the tradition is so ingrained in local culture there that the usual gift for a 16-year-old-boy (equivalent to a coming-of-age 18th birthday in most other countries) is an asado-specific cutting board. Yes: the Argys take their BBQing very seriously. At a local asado, you’ll find about a tonne of different meat (that’s per person), an endless array of salads (only there for decorations as they up valuable meat space in your stomach) and an equally impressive array of red wine, for which you’ll undoubtedly always find room. An asado among family and friends is a relaxed and enjoyable event, lasting anywhere between six hours and two weeks. If you’re ever lucky enough to be invited to a family event, agree at once! If not, you’ll find a plethora of asado dedicated restaurants all over Argentina, and in particular, the capital Buenos Aires. You may want to skip the bread. 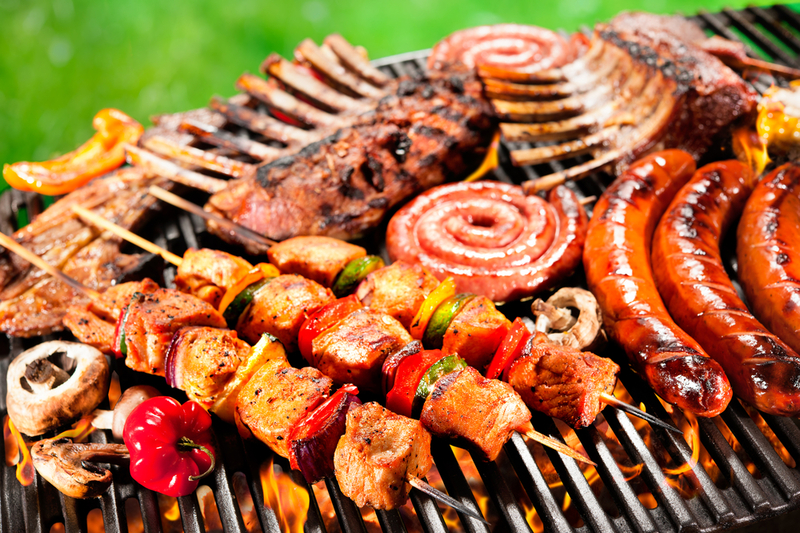 The Guinness World Record for the largest BBQ ever held was an asado hosted in Argentina’s La Pampa region in 2011 – where 90 grill masters (asadores) cooked over 13,700kgs of meat using 25,000kgs of wood, and feeding over 24,000 people. The fact the BBQ was held on International Vegetarian Day says more about Argentinian foodie-culture than you could ever imagine! This traditional salted pork and black beans stew originated in Portugal and versions of it can be found in fellow former colonies like Mozambique and Angola. In Brazil, feijoada is traditionally cooked in a clay pot, over very low heat, where it’s allowed to bubble and infuse for hours. 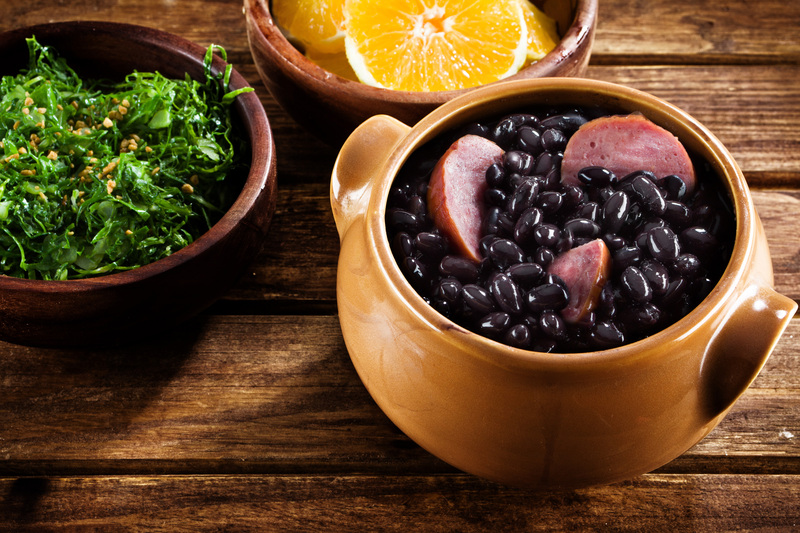 The country’s national dish, variants of feijoada abound and dependent on the region and type of beans available. In Rio de Janeiro, feijoada is heavy on meat and beans and light on vegetables, whereas in other regions – especially the countryside where meat is more expensive – the reverse is true. A hearty meal for cavemen (and women!) feijoada is subject of much pride for Brazilians. If you ever want to insult a local, all you do is tell him or her that their mother’s feijoada sux, although we’d strongly discourage you from such foolish behaviour.